Welcome to the Marine Hotel in Troon. This stunning 4 star hotel is located on the North Ayrshire coastline next to the Royal Troon Golf Club with breathtaking views over the Isle of Arran. Proud to offer a range of bedroom types including exceptional sea view suites, the Marine Hotel prides itself on delivering an elegant and comfortable experience for our guests. The hotel boasts a range of facilities including a well-equipped leisure club and spa with views across the Firth of Clyde from the swimming pool. 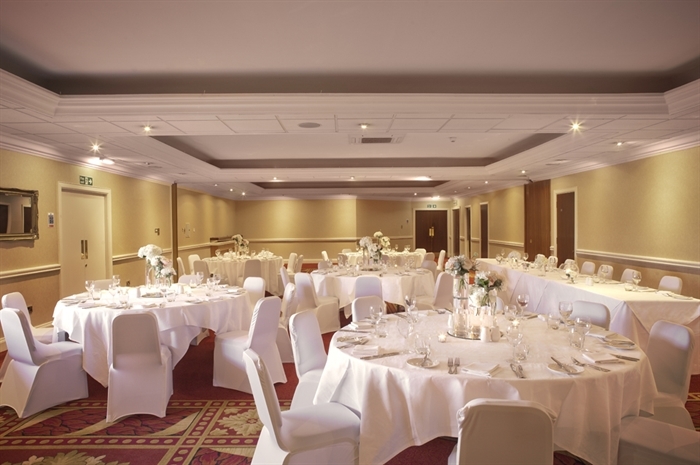 We also have a range of event and function facilities to suit every type of event and occasion. The Darley Suite and Gailes Suite are intimate and airy with stunning views, perfect for private dining, family celebrations and banquets.If you're planning a larger event such as a wedding or corporate conference then the Portland Suite is ideal. The hotel offers excellent drinking and dining options including our Restaurant offering delicious Scottish seasonal food and the Arran Bar offering lunch and afternoon teas with coastal views.